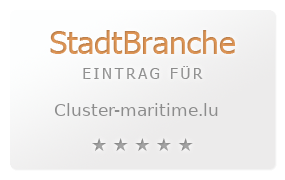 Created in 2008 as a non profit organization the Luxembourg Maritime Cluster (CML) brings the Blue Economy of the Grand Duchy to the fore. Member companies and institutions represent proudly and convincingly the local maritime business community domestic and abroad. Members of the Cluster offer together a wide variety of maritime business experience and expertise: shipping dredging classification ship brokerage banking law consultancy audit insurance security and safety railway and maritime logistics.